Title washing are scams that result from the lack of a unified law regulating vehicle documentation in all the states. Many people who bought used cars have already fallen victims to title washing fraud. Title washing is used by car owners to “erase” the vehicle’s bad history in order to conceal from the buyer that it had a salvage title because of flood, severe accident or other damage. The outbreak of title washing incidents was after hurricane Katrina when many car dealers got stuck with excess of flood-damaged vehicles. Also, title washing is often applied to “clipped” vehicles with the back and front coming from different cars, or rather of what was left of them after a crash. Of course, you wouldn’t want to buy a wreck for the price of a good car. But those who practice title washing will try to persuade you that the car has never had problems and sell it to you. A car that was totaled by the insurance company is assigned a salvage title, which is often called “branding”. Then it can be repaired and driven, but its resale value lowers, along with the possibility to sell it. So, the car is transferred to states that do not recognize the current title and assign it a new, clean tile. Title washing erases the branding and the car’s value rises, and it is easier to sell. Remember that title washed vehicles can be sold not only by dealers but by individuals as well. 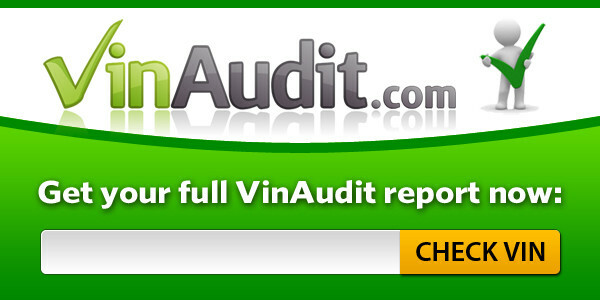 Perform a VIN audit and get our vehicle history report to reveal the truth about the car’s title. Once a car is assigned a salvage title the information is added to the computer database of services that provide vehicle history reports. These records remain in the database even when the car is transferred to other states. VINaudit searches NMVTIS and gets detailed vehicle history reports in a matter of seconds. It will protect you not just from title washing but from many other used car flaws, for example odometer rollback, salvage title or a flood damaged car. If you want to avoid title washing you should consider a vinaudit vehicle history report before you buy a used car. In California every used car dealer must provide the report BEFORE offering any vehicle for sale.